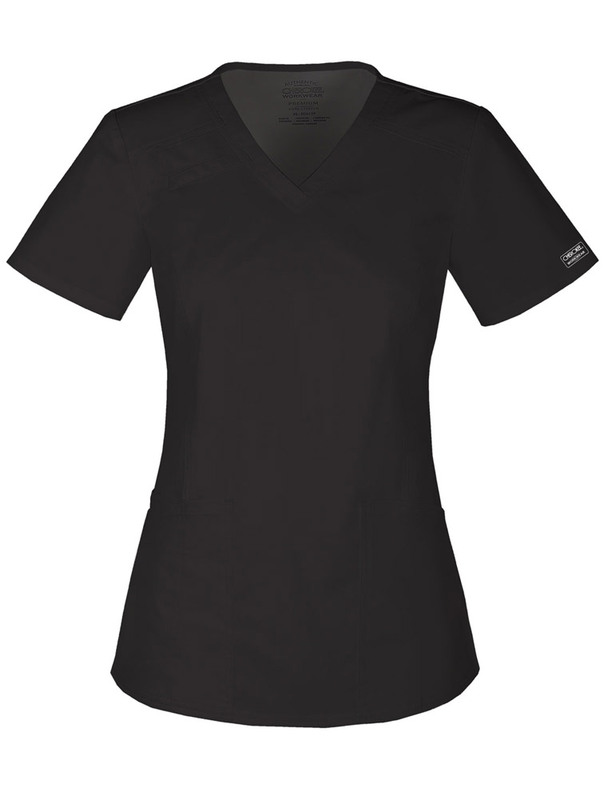 A V-neck top features front shoulder yokes with an I.D. 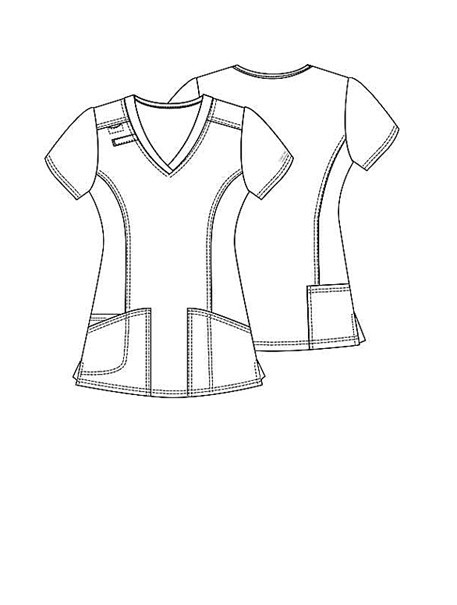 badge slot, a stethoscope loop, patch pockets, an interior pocket, a pen slot and a back pocket. 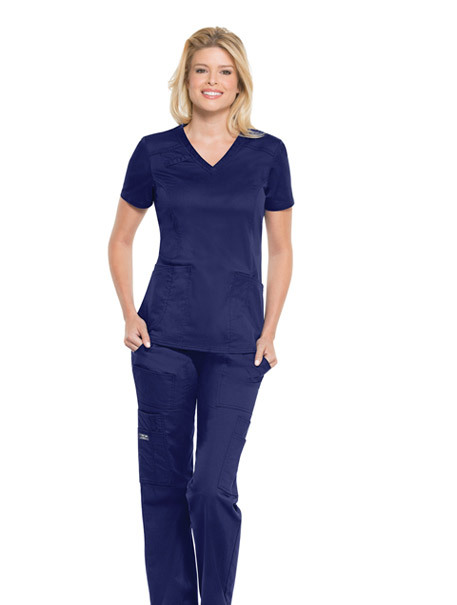 Also featured are front and back princess seams, side vents and double needle topstitching Center back length: 26"